The expansion will allow for better visitor space inside the pavilion. 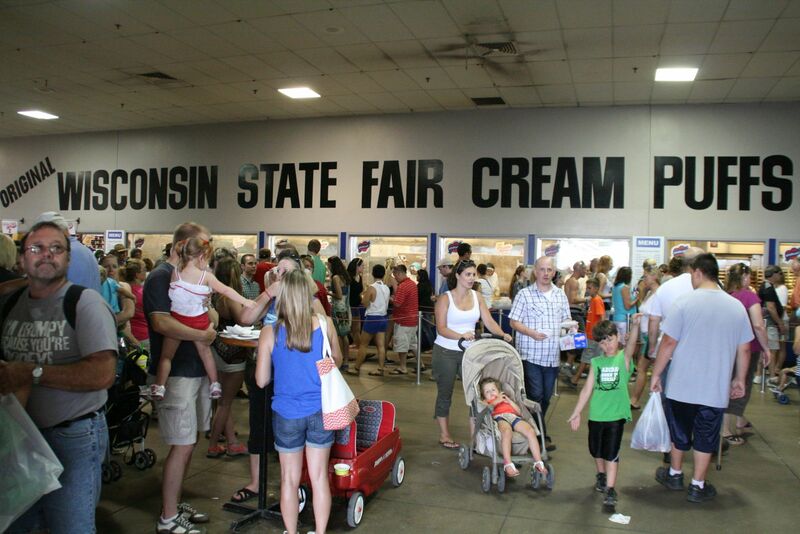 The cream puffs draw a large crowd at the 2014 Wisconsin State Fair. Photo by Jeramey Jannene. Madison – This weekend the Wisconsin Association of Fairs will gather in the Wisconsin Dells beginning this Sunday for the annual fair convention. Fair members will recognize those that go above and beyond for their local fair and select the 2017 Fairest of the Fairs. To celebrate the local and state fairs throughout our state, Governor Scott Walker announced today that his upcoming state budget will include a Capital Budget Request for $6 million to expand and renovate the Cream Puff Pavilion at State Fair Park. The expansion and renovation will create a new facility worthy of the Original Cream Puff’s stature. The facility will be used by the Wisconsin State Fair Park and the Wisconsin Baker’s Association. The expansion will allow for better visitor space inside the pavilion, additional areas for product lines on a year-round basis, and a new training center for bakery internships. The Original Cream Puff has been made by Wisconsin Baker’s Association in the Cream Puff Pavilion (then called the Dairy Building) since 1924. The bakery was last remodeled between the 1994 and 1995 fairs. At that time roughly 225,000 cream puffs were made by a staff of 75. Today, almost 50,000 cream puffs are served each day during the fair. In 2015, 400,000 cream puffs were made by a staff of 150-160 working three shifts. In addition to the Original Cream Puffs, Blue Ribbon Brownies, and Colossal Chocolate Chip Cookies have been added to the menu. The funding for the renovation will come entirely from private gifts. The project design and construction will be overseen by the State Building Commission and the Department of Administration. The project is expected to be completed in time for the 2019 State Fair. The 2017 Wisconsin State Fair, presented by U.S. Cellular, will take place August 3 – August 13. Cream puff is what he and his policies are. The governor needs a remedial course on priorities. He has already deferred debt payments which will increase interest costs to taxpayers in the coming years. Focus should be on sustainable family supporting jobs, increasing support of education, infrastructure repair and development of a long-term maintenance plan to avoid returning to the mess we currently have. I could go on, but for the sake of brevity, we need to have budgets and policies that focus on key goals that improve the lives of middle class families and assist those not yet in the middle class with a path to get there. Cream puffs are more important than investment in education, parks and natural resources, healthcare, or infrastructure. This man’s priorities are so screwed up we might as well have a mannequin running our state. So how did Scotty so easily come up with $6M in donations for a cream-puff pavilion? What kind of “sweet deal” is really at play? Why can’t he secure such donations for other more-urgent state needs? 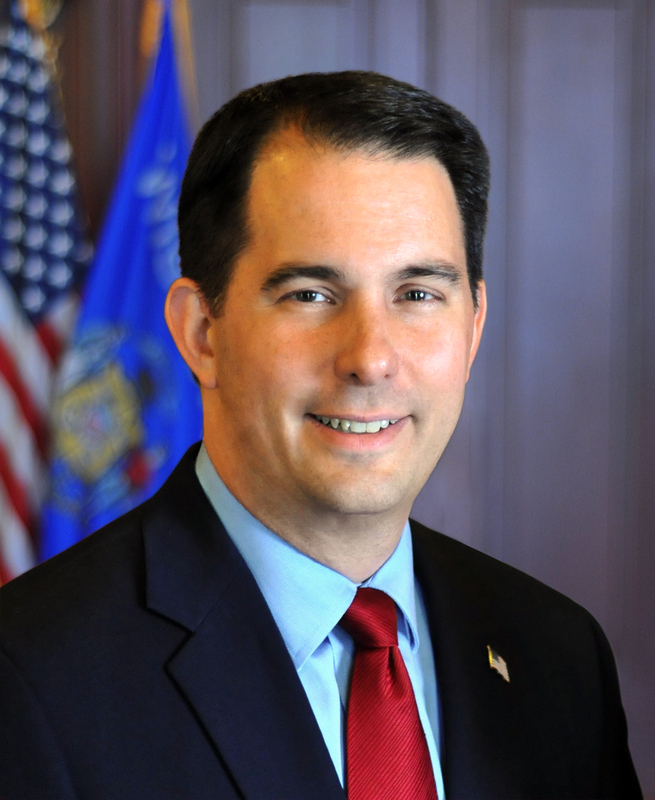 I think John Chisholm needs to immediately launch “John Doe III,” as it appears there is evidence of illegal coordination between Wisconsin Dairy Farmers and Governor Walker to promote the expanded creation of Cream Puffs at Wisconsin State Fair. Let the Liberal boycott of Wisconsin State Fair Cream Puffs begin! Hey wait a minute . First. Where is this money coming from.. gifts (with/wo strings), the state budget via our taxes? Second. And all for a most unhealthy treat! Just double the price. We’ll make just as much and sell fewer and thus reduce artery clogging health related spending in the future. A week before the fair opens each year we hear about the latest abominable food choices. It’s not just silly! Milwaukee Native and Richard hit on it- Scotty never gives one of these PR releases without some kind of political kickback involved. Do we have the names of the donors? Also, given the “nice guy” propaganda push being jammed out by Walker and the “it’s working’ BS by WisGOP, you just know the budget will be a disaster. Which is why they divert the media’s attention with this cream puff of a story. When I was eating my delicious cream puffs while enjoying myself at the state fair last summer, I couldn’t help but notice how the experience and the taste of the cream puffs was slightly marred by the lackluster pavilion. A cream puff really requires classy surroundings.